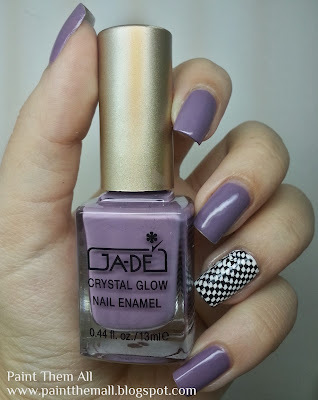 I really wanted to do something cool for today but I had no inspiration so I went with a simple accent nail and used a stamp from Bundle Monster 319. I stamped it with wow #363, and the white is (as always) Milani White on the Spot. The purple on the rest of my fingers is mystique mauve by Ga-de, 2 coats.